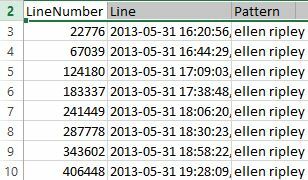 Previously, I had exported log files of considerable size parsing for certain columns of data to multiple .csv files. Now I had wanted a response file with corresponding variable(s) and each entry (i.e. time stamp etc.) searching against one or multiple files. Below had been the process for this search and export. In this example, I had been using Windows 2012. 1. 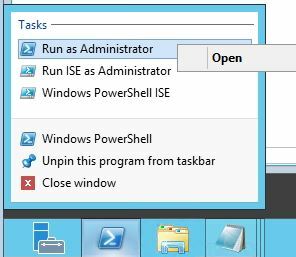 Right-click on the PowerShell icon and select RUN AS ADMINISTRATOR and OPEN. 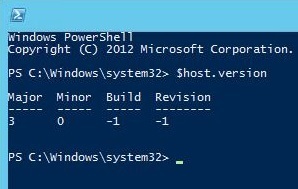 IMPORTANT: PowerShell 2.0 and above must be used to support the forthcoming commands. a. Get-ChildItem will reference the file or files within the current directory. For my purposes here and the size of the data files, I had referenced few at a time. 6. Here had been the export results with time stamp and pattern match for Ellen Ripley. This entry was posted in IT Administration, Microsoft Exchange, Powershell and tagged IT Administration, Microsoft Exchange, powershell. Bookmark the permalink.